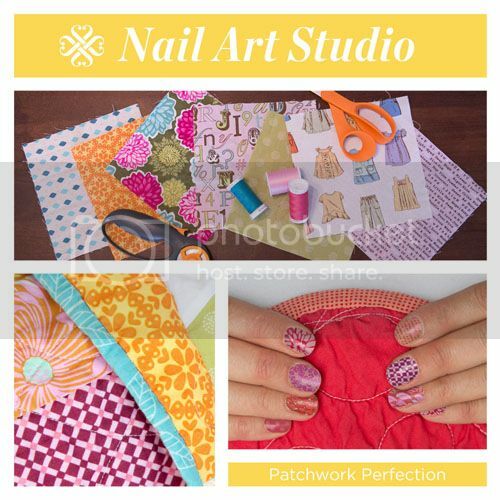 First of all, and this goes for all of my post, I am a craft-a-holic, NOT a photographer! My pictures leave much to be desired. 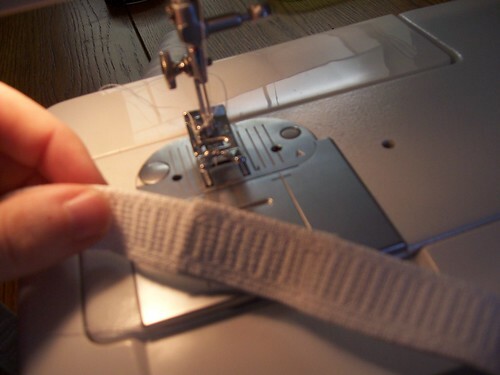 Measure the desired waist size, sew an elastic band together to make a loop. 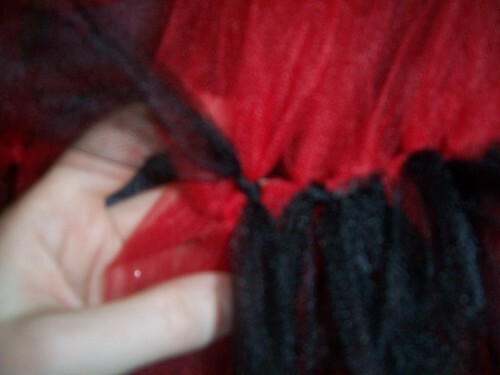 I used a 20 inch strip on 1 inch waistband elastic. 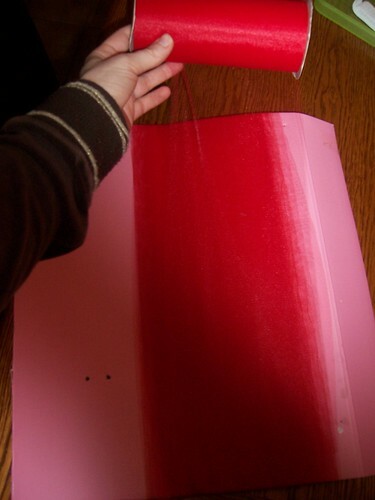 Measure and cut your strips. 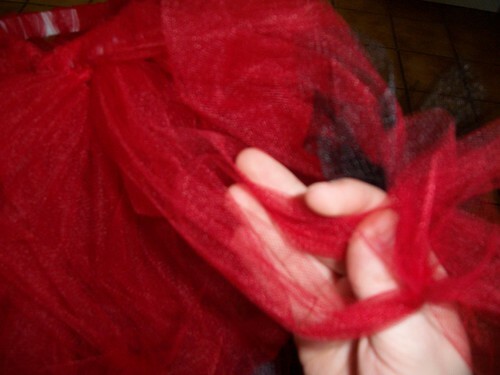 I used a 40 yard roll of 6 inch wide tulle, cut 30 inches long. 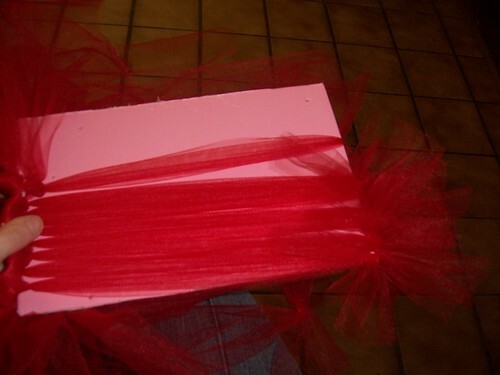 To ease this process I created a 15 inch cardboard template and wrapped the tulle around it. That way I only had to make one cut to complete all the strips. 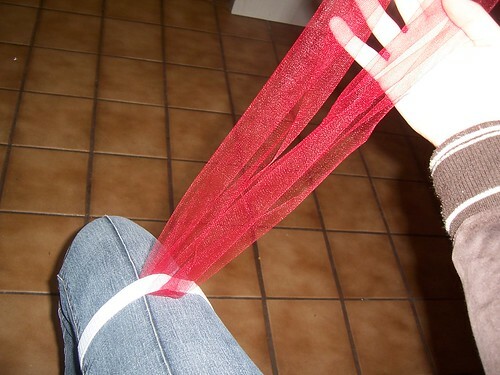 Now sit down, put the elastic band over your leg and tie each strip onto the band. 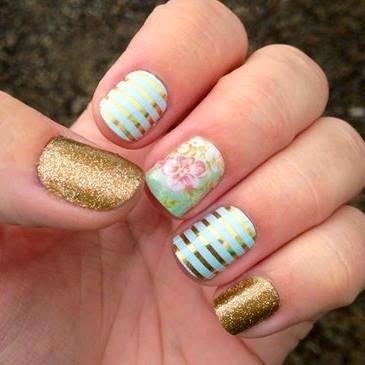 Do this with each strip. 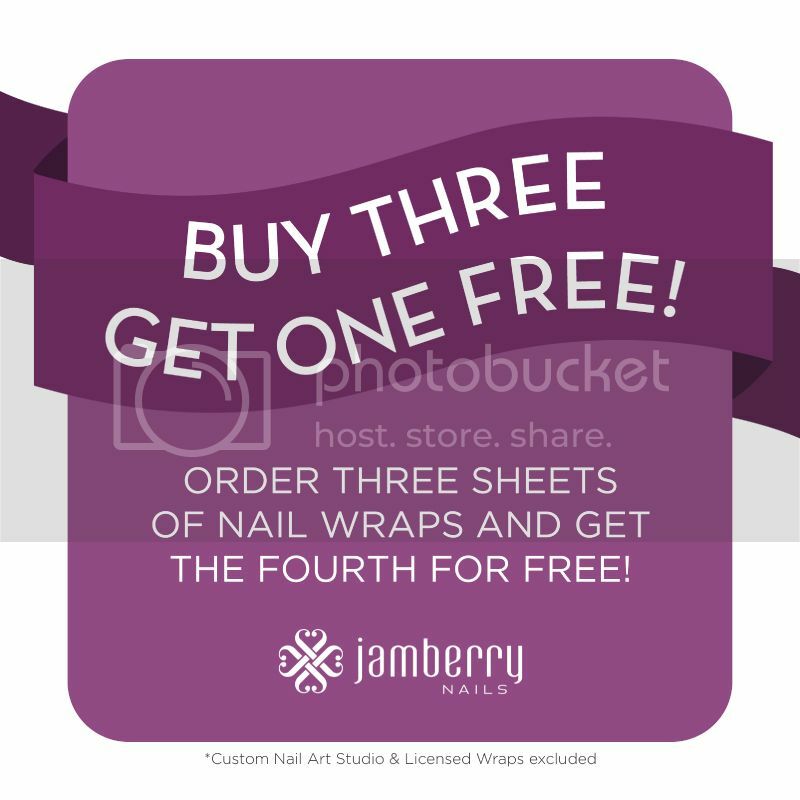 You can repeat step 2 for each strip as you go, or finish all of step one before moving on. I cut another cardboard template, this time 10 inches wide. 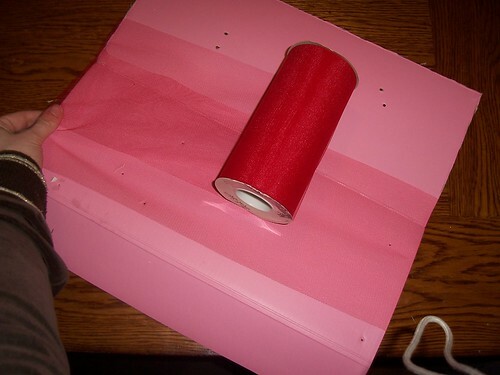 Use this to make a 10 inch loop frop each pair of strips. Just tie a knot at the end of the template. 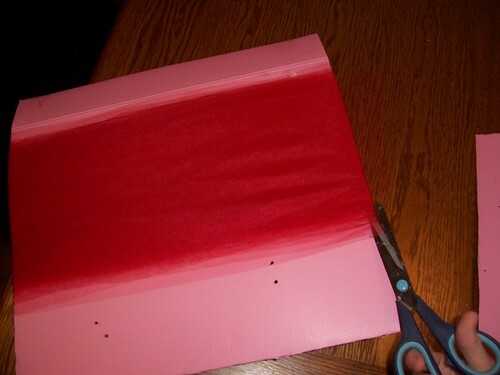 Cut 6 inch strips of your contrasting tulle. 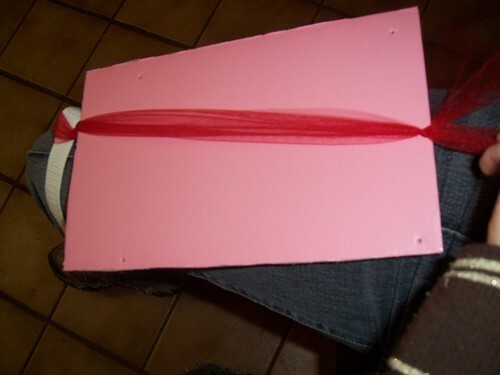 Connect each of the loops together by tying the small strips on right above the knot. 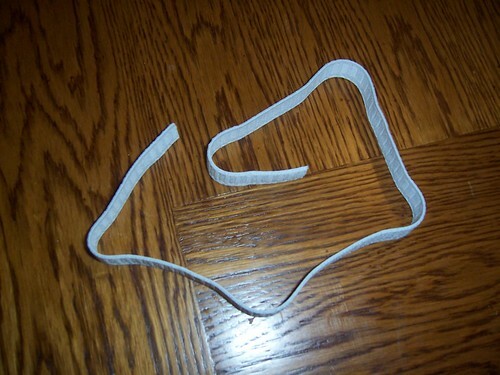 Grab one strip from each of 2 neighboring loops and tie them together with the contrast strip. Do this all the way around until you have connected each loop to its neighbor, creating a loop. 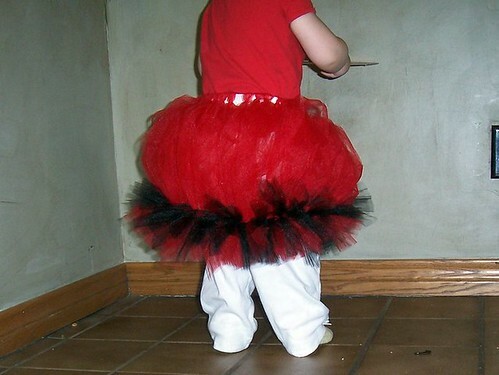 See more pics and show yours off on the tutu mafia flickr pool! 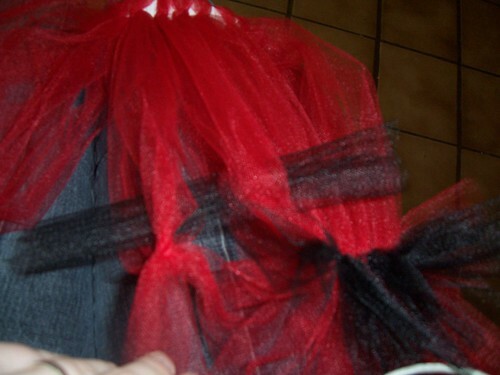 ya know i have been making tutus for 7 years never ONCE did I think to pu the elastic on my leg haha great idea and great tut! 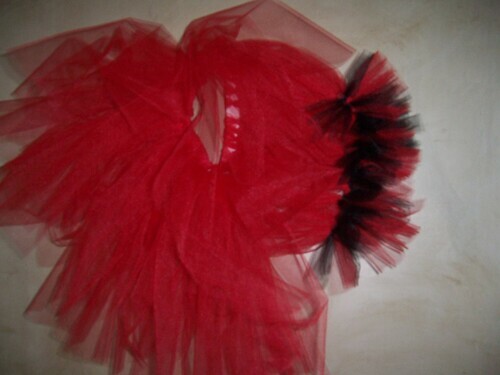 This tutu is just "magical". lol. That's awesome! 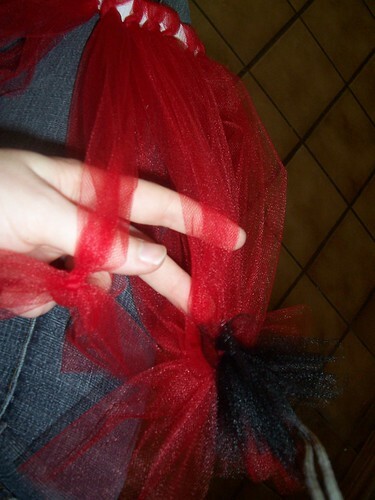 I don't make tutus anymore but having followed the events I applaud you! Great job on your craftiness! I love it! Thanks for the tut!! Girl you are awesome!!!! Thank you so much I will add this to "THE LIST"